all the reasons you’ll find in the below video, but would not want to live there due to the cold winters and the physical stamina it takes to walk around with so many steep streets and narrow walkways and of while nearby Leon has what passes for an International Airport it’s no where near as nice with as many International flights as our own Guadalajara International airport as close to Lake Chapala as it is to Guadalajara. Home prices are higher as well. So to my way of looking at it you pay more and get less. I’m not big on huge malls, but malls do have very large assortments of almost everything you could want and here at Lake Chapala we’re under an hour from Guadalajara with a large number of World Class Malls. Close, but not too close, but there when we need them. There’s no real malls in or near Guanajuato, but it’s fairly close to Leon which has some big stores and it’s own beautiful central historical district. 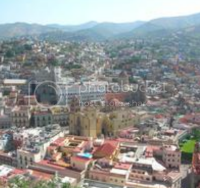 OK, Here’s a great video showing Guanajuato at it’s best. Well done! Beautiful story and visuals. I lived in Leon in 1994 and frequently visited Guanajuato City to soak up the culture.